Zack is about 3 years old and came to us because he wasn't doing very well at the shelter anymore. 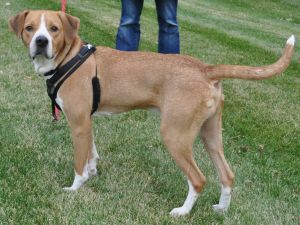 He is maybe a boxer/hound mix and weighs about 45 lbs. 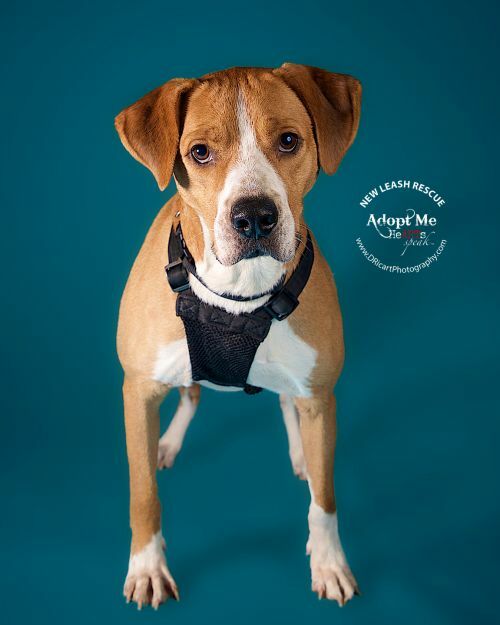 He is a sweet boy - he is good with people and other dogs. He was heartworm positive when he came to us, so we finished his treatment. 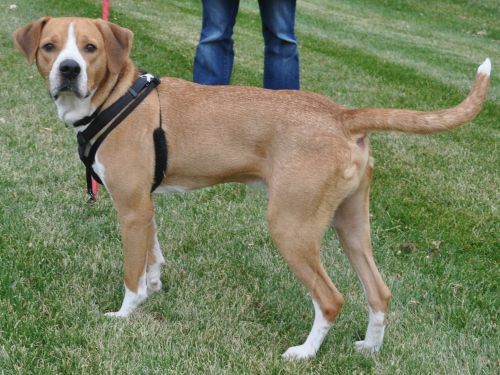 Zach's adopters will need to commit to keeping him on heartworm preventative all year long. Zach is kenneled when his fosters aren't home and does good with it, although he does make a little noise when leaving for work for the day. If he isn't kenneled he will try to counter surf, so kenneling is the best thing for him right now. Zach does well on housetraining but any dog could have a couple accidents as they adjust to a new house and a new routine. He can jump gates in the house so he should never be left out in a fence unattended because there is a chance that he could get over the fence if he sees something exciting. He is working on basic manners and commands in his foster home (off, sit, kennel up). He would do best in a house with medium and large dogs. He can pester the small dogs a little too much at times and try to play too rough. He also would do best around older kids because he could knock little ones over. He's a really loving and sweet boy who deserves his happy ending. 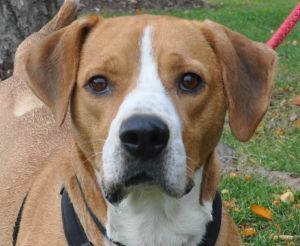 Zach will be at the Woodbury PetSmart on Saturday from 11-2pm looking for a home. Our fosters do the best they can to provide all information about the animal's background and temperament while in foster care in their home. An adopters routine and home environment is likely going to be different than that in their foster home. Sometimes there is more that comes out about a dog's personality once they have been able to settle in a home and truly become comfortable. There are great articles out there written about the different stages a pet goes through after adoption, discussing transitions that happen at 3 days, 3 weeks, and 3 months. We highly recommend reading about this - it will help you understand the transition your new pet goes through. © 2018 New Leash Rescue. All rights reserved.